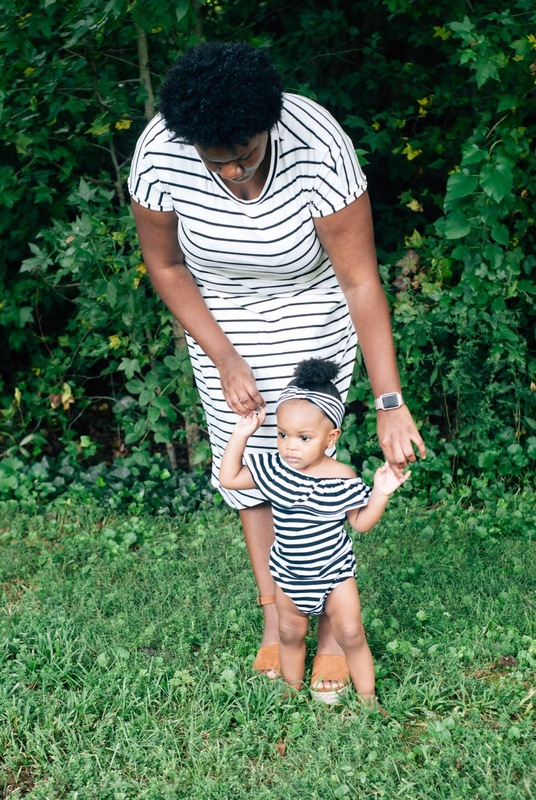 While brainstorming ideas for this blog post I came across this quote from Joyce Armor, "Think of stretch marks as pregnancy service stripes." It made me think twice about my body and everything it has gone through, including giving birth to a little human. I am so proud of my "stripes." They remind me that I carried another human being inside me for 9 months. 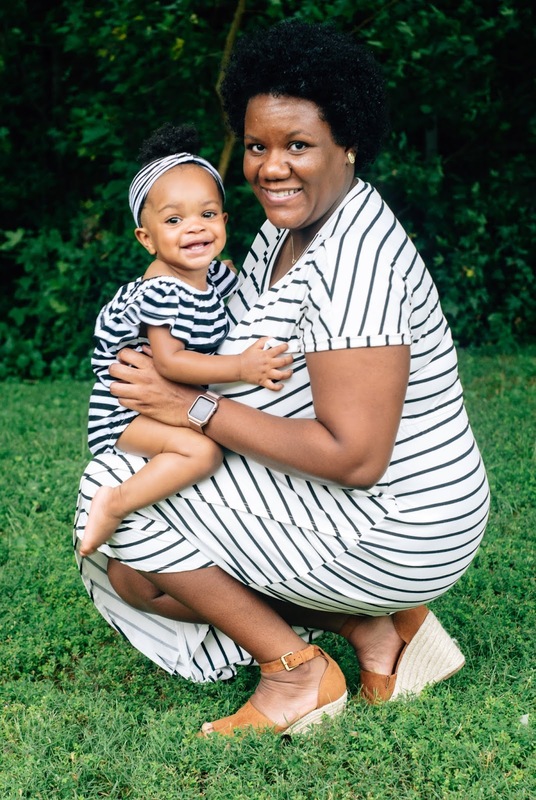 9 months of scary doctor's appointments, 9 months of wondering if I would make a good mom, 9 months of loving someone I had never even met, but was a part of me. I earned those "stripes" over a year ago and I'll flaunt them for the rest of my life. They are a part of me and they'll always be a part of me just like McKenna. 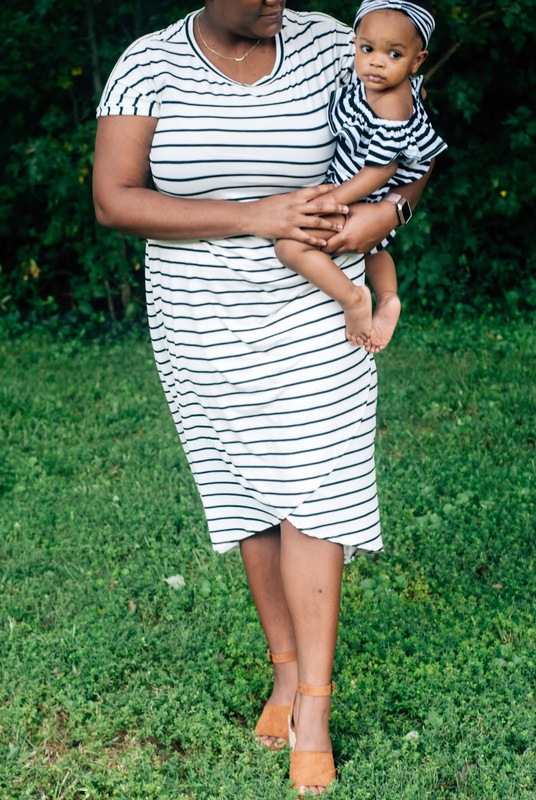 This striped wrap dress from PinkBlush Maternity is a piece I plan on flaunting for as long as I can. 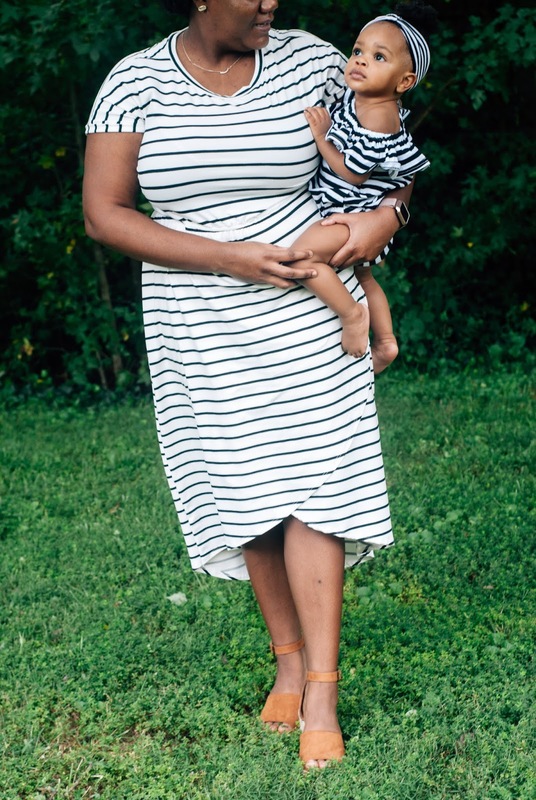 PinkBlush has tons of other great dresses for maternity and beyond! 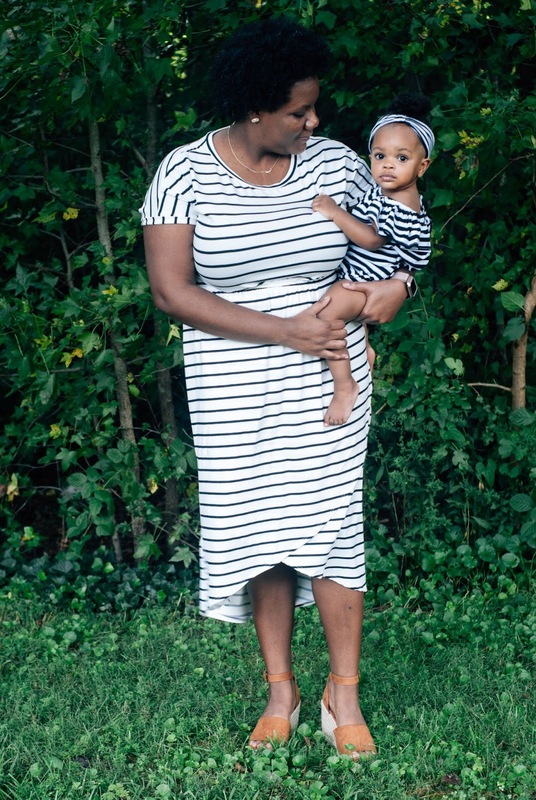 This dress is perfect for those Mom days when I'm losing it, but don't want to look like it. 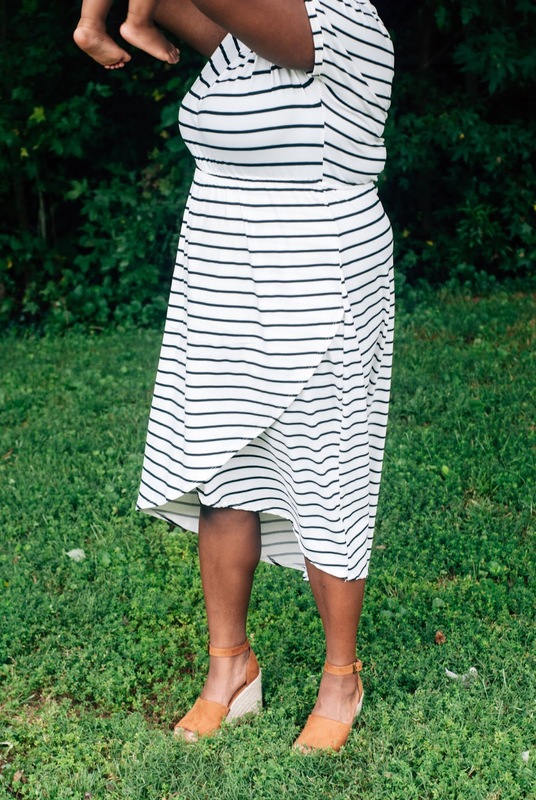 I can't resist a good striped dress, so I know this one will be on repeat forever! 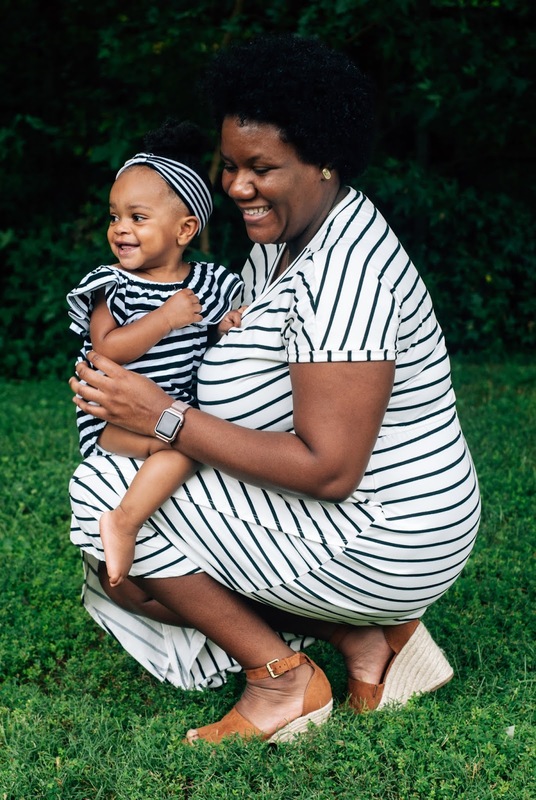 Are you a mom who proudly wears her "service stripes?" 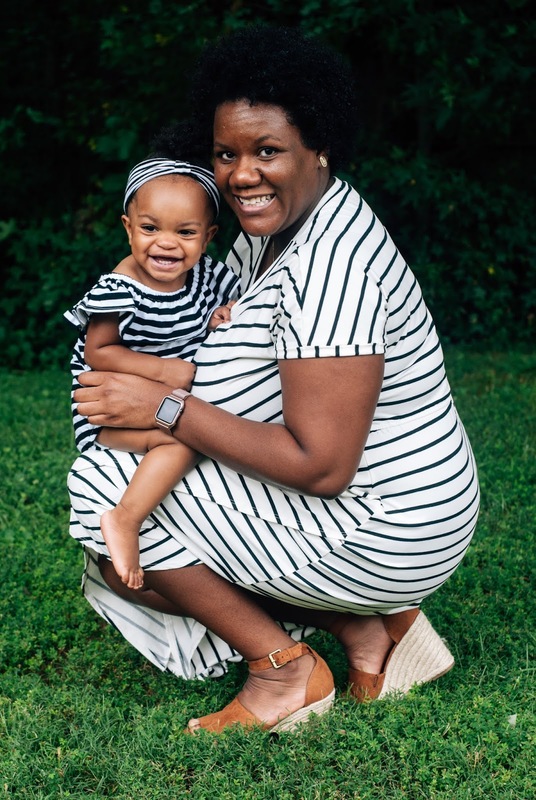 Let me know in the comments below and don't forget to check out PinkBlush Maternity for trendy dresses and tops for fall! You two are adorable! 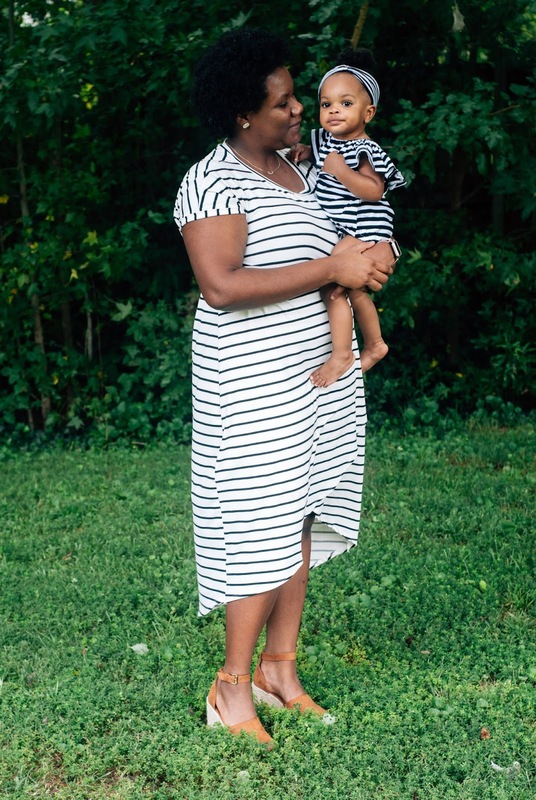 I can't resist a good striped dress too!